We adore the bright red in this space. 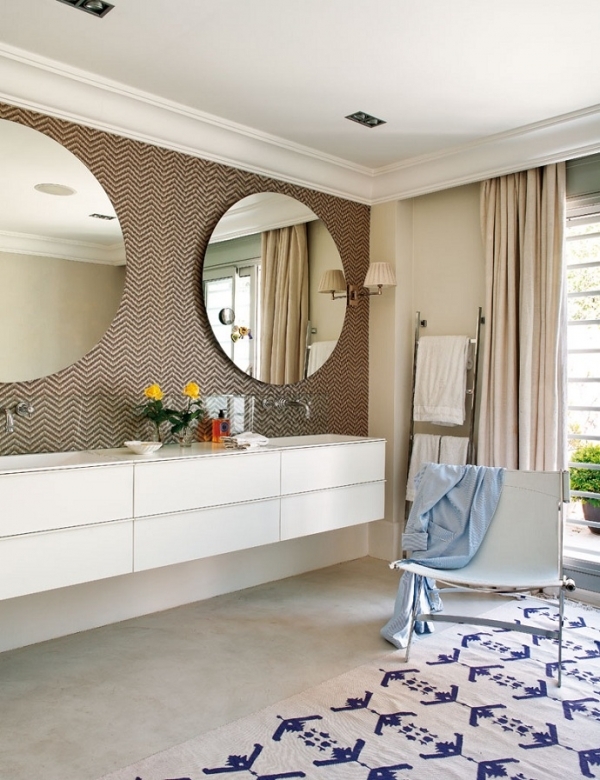 The white and wooden chair is gorgeous, perfectly complementing the beautiful neutrals used in the design. 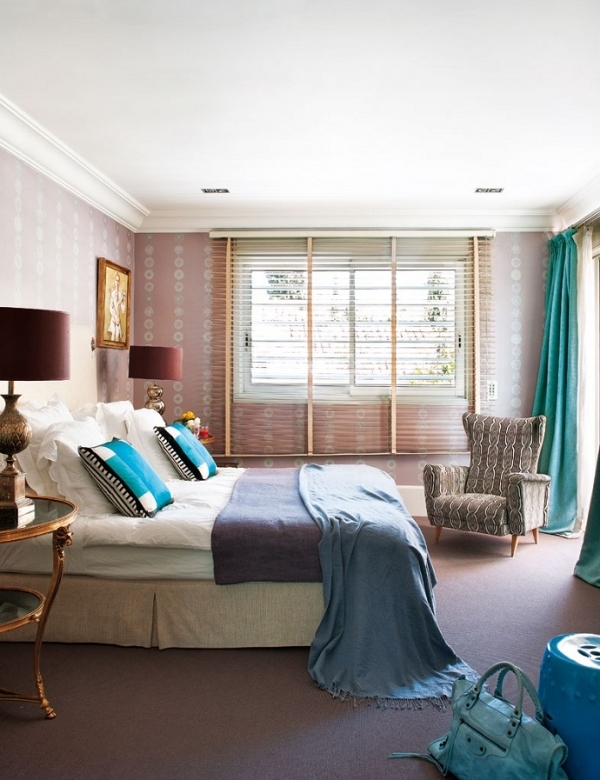 This outstanding room accomplishes a delightful thing: it is brilliantly bold and wonderfully inviting, simultaneously. The artwork is fabulous in this Madrid apartment. 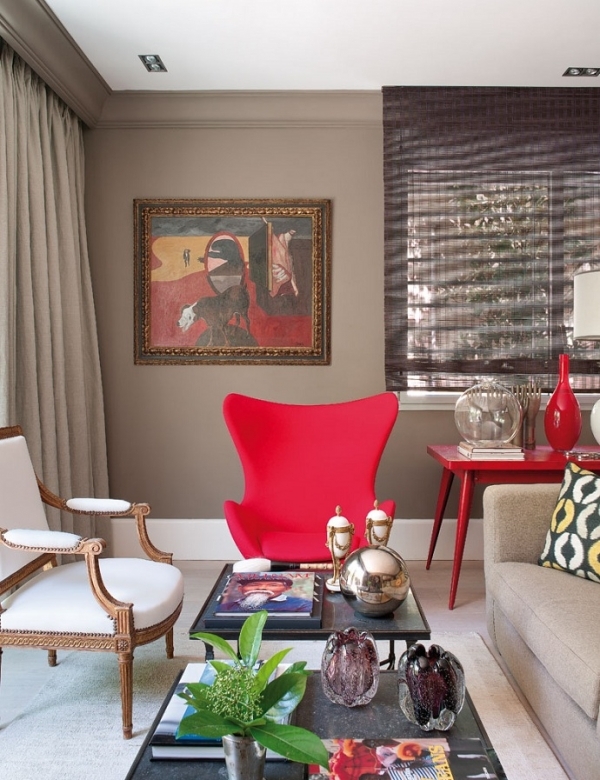 The black and red abstract piece on the wall adds a significant amount of character to the room. 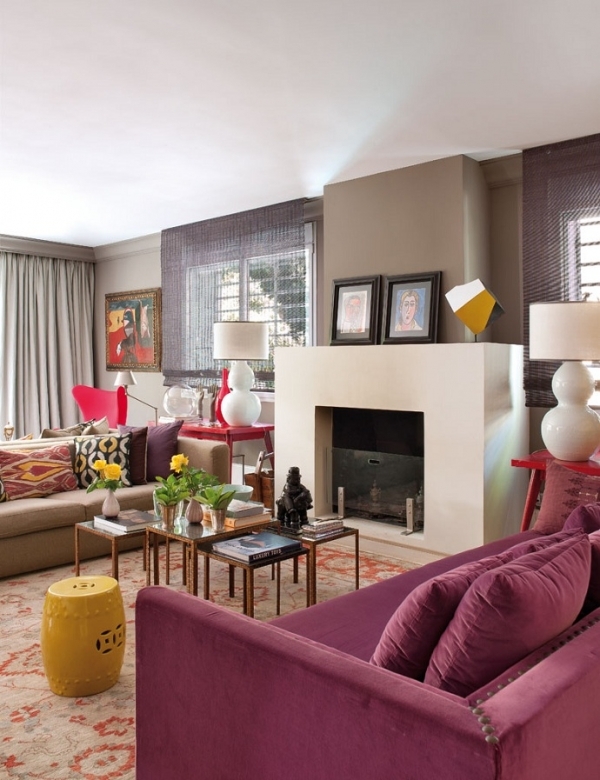 A gray sofa, full of wonderfully patterned pillows, occupies the space. A brown and white animal print rug, a white table, and a plaid chair, complete one of the seating areas. A black table and blue and white chairs create another seating area, adding another pattern to this outstanding living room. The fireplace brings a modern touch to this Madrid apartment. We are in love with the plush purple sofa. Brown nesting tables sit in the middle of the room, across from the fireplace, and white lamps decorate red tables. The yellow accents are perfect. 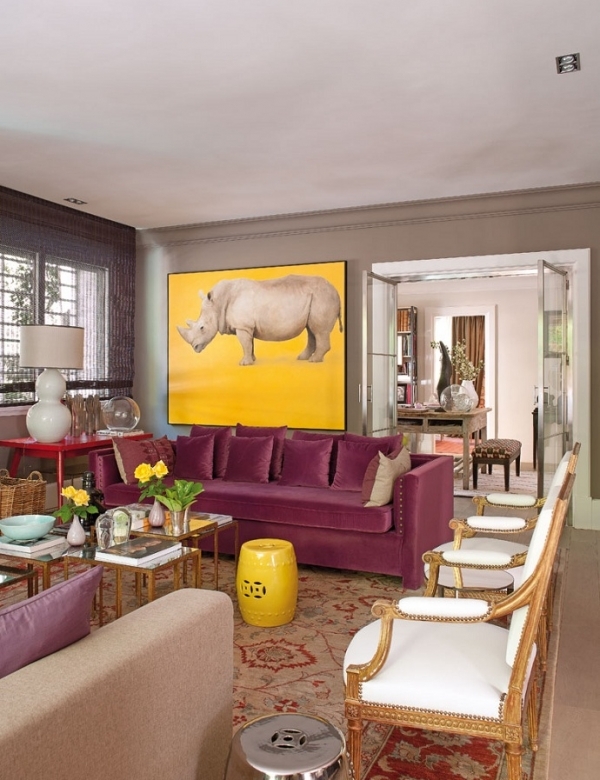 The rhinoceros artwork is fun and playful, bringing so much charm to the room. This has got to be an inspiring space to work. The rustic table, fabulous benches, books, artwork, sculptures, and doodads, come together to fashion an eclectic and enchanting working and/or reading space. 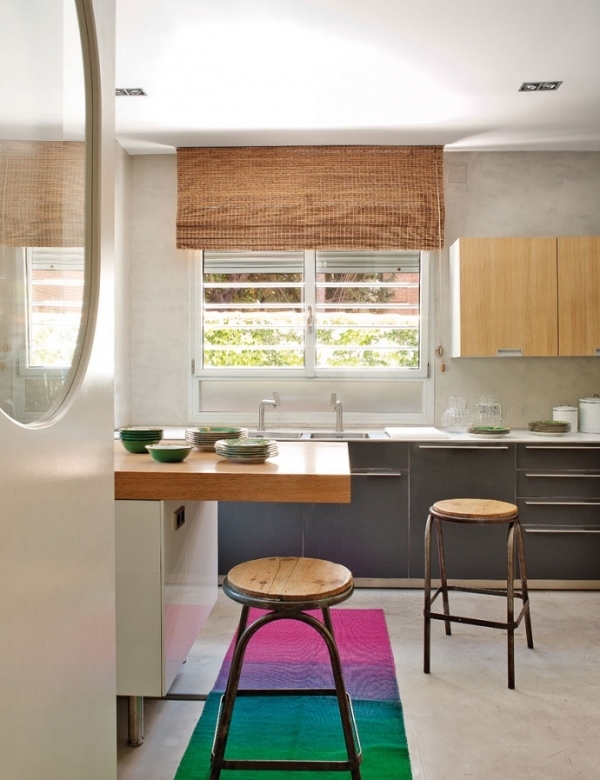 In the kitchen, this Madrid apartment, pulls back a bit on the bold design. 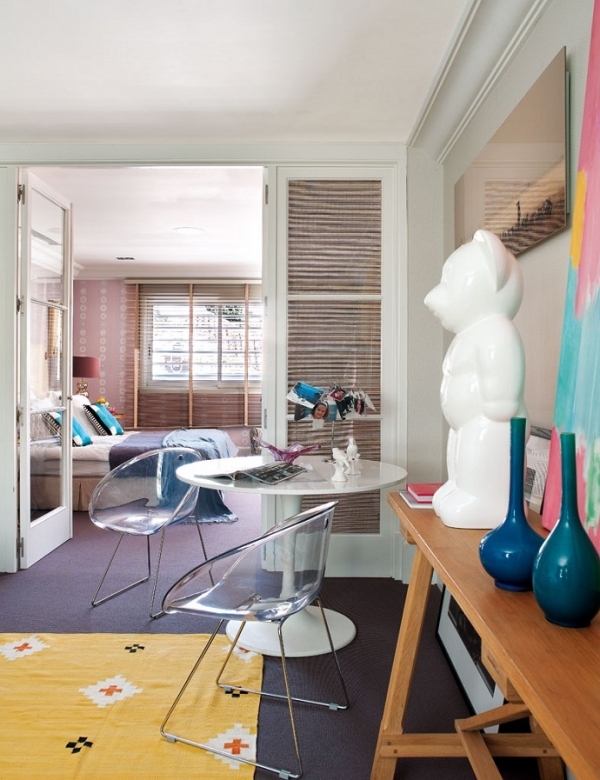 Sleek gray cabinets, wooden cabinets, and a multi-colored rug, create a bright but restrained interior. 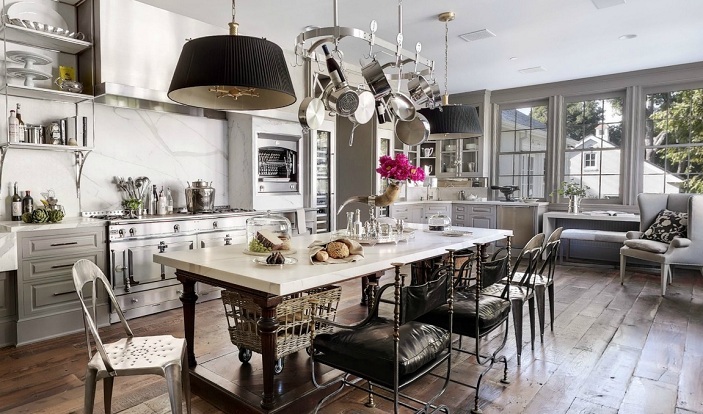 We love the distressed look of the stools. The bathroom is absolutely gorgeous with its browns and blues. The earthy touches and the modern white cabinets are just perfect, bringing a sense of ease to the design.